As Christmas looms closer so does the prospect of New Year, and with that; new starts. Forget the fad diets and new running shoes that you’ll never use, the new year is all about new looks, more so; new trends. If you’re planning a well needed home renovation in the new year, why not start right at the bottom with your floor. Our guide to the top flooring trends expected to see in 2018 will help you when it comes to making the right choice. Kicking us off is Parquet flooring, a firm favourite over the last 18 months and set to remain high in peoples sights coming into the new year! This trend resurfaced a while ago after spending what can only be described as a few years in hiding. The fact is that Parquet flooring was a little dated, when you saw it you were instantly drawn back to your school days, sitting on the cold floor belting out songs that made no sense – following the lead from a teacher using his pen to point out lyrics on an overhead projector, those were the days! However, the popularity of another interior trend ‘shabby chic’ has definitely aided the resurgence of parquet floors and all their criss-cross glory. We can definitely see this geometric patterned wood flooring sticking around! Not only has grey been the interior colour of 2017, it’s seen a huge rise in popularity when it comes to flooring. Although it may seem like a bit of a fad, we’re confident that grey wood flooring can offer you that ‘timeless’ look and incorporate a modern spin on your home. 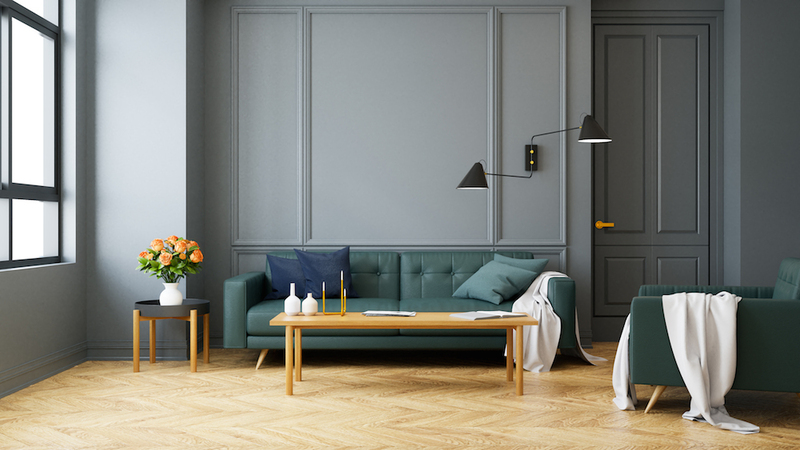 Due to it’s neutral shade, grey is easily paired with most furnishings, so no need to worry if you already have your house kitted out – it’s bound to go with it! Another reason we think that grey flooring will be all the rage next year is that it’s so versatile, with tons of different shades available you can create a number of different looks. 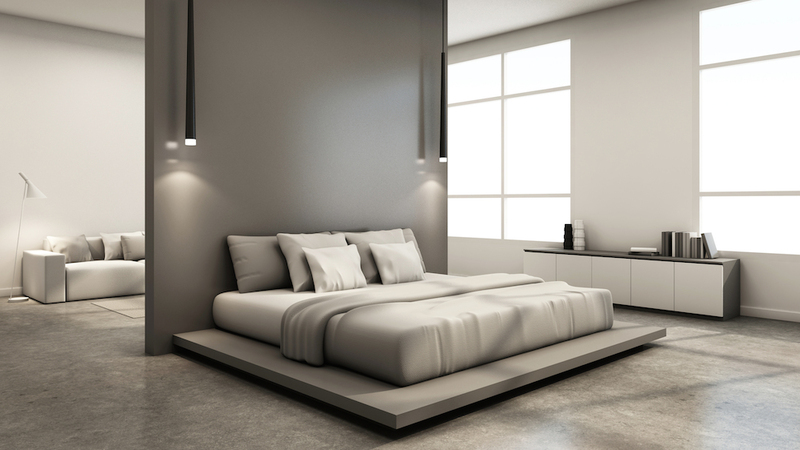 From sophisticated dark grey, to cooler light shades, you can turn your home into an interior designers dream. Raw, hardwood floorboards have been around for years. They bring an almost nostalgic, classic feel to a home, making even the busiest of city houses feel like a Scandinavian log cabin. Wider length planks have been in the interior spotlight recently and it’s no surprise to see why. Wide plank hardwood uses a larger section of the wood, which means that more of the knots, grains, swirls, and colour variants are on show. This style of wood brings a huge amount of character into any room and we can see it remaining a staple piece in 2018. As we head into a brand new year, we’re confident that one thing will remain; the desire to make our homes as eco-friendly as possible. With this in mind we strongly believe that the likes of cork and bamboo floors will be a popular choice among homeowners. These materials are some of the least damaging for the environment and will make the perfect addition to any sustainable home. As well as this, most flooring retailers are working closer than ever before with manufacturers to ensure that their wood flooring is sustainably sourced. If you are ever concerned about anything like this then check for the FSC badge on any packaging, this means that the retailer and manufacturer have both worked in accordance with the Forest Stewardship Council and you can rest easy!